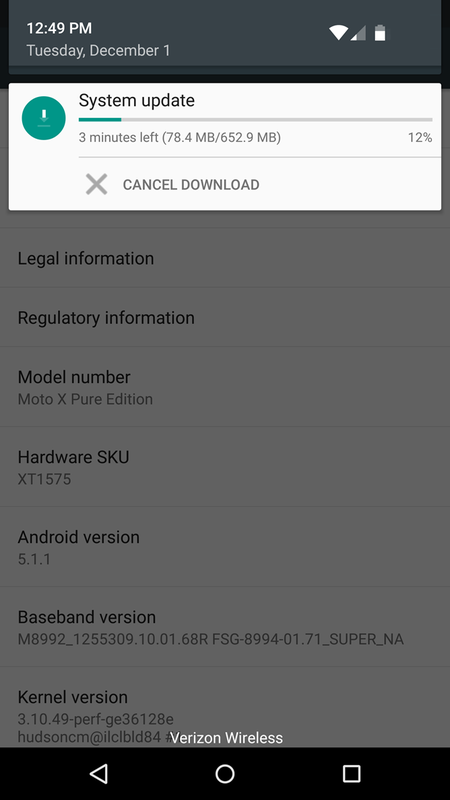 Soak tests are beta tests for device firmware, usually sent only to especially dedicated members of Motorola's support forum. (They also tend to get in trouble for telling the tech press about said tests, so that's why we're thanking "Anonymous" below.) 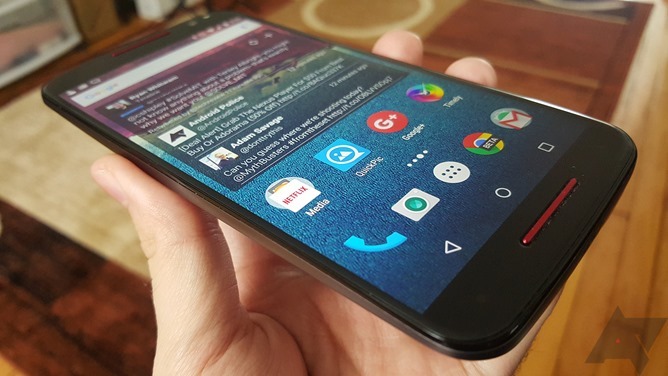 According to our source, the Android 6.0 update was sent to their phone earlier today. That means that Moto is confident enough in the build to put it in the hands of a few end users, so it's essentially a release candidate for the update. Public over-the-air updates usually start a few weeks later, so optimistically, we might be looking at widely-available Marshmallow for the Moto X Pure Edition by the end of the calendar year. The screenshot sent to us says the update is about 650MB, which is consistent with some of the updates we've seen for Nexus devices - remember, Motorola's software builds tend to stay pretty close to AOSP, much more so than the likes of Samsung, LG, or HTC. Moto X Pure Edition owners, keep you fingers crossed for a Christmas miracle, and Moto X Style owners might want to do a little holiday wishing too.